As a natural substance, mold has several benefits; however, that’s not the case when mold grows in your home or business. The air always contains a concentration of mold spores and the proper conditions will allow these mold spores to thrive and grow. Mold growth can not only severely damage your property, but it can also be detrimental to your health, causing allergies and other health concerns. If you encounter any mold growth on your property, then you need to act immediately. Otherwise, the mold continues to grow, spreading to new areas and becoming a bigger problem. 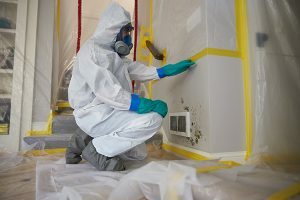 ServiceMaster Restoration by Complete provides mold remediation services to help homes and businesses in Bergen County, NJ, remove all cases of mold growth. In addition to removing the fungus, we also work with a trustworthy third party who will conduct accurate mold testing. For mold to grow, it requires an organic food source, moisture, and a dark area. However, mold is mainly triggered by moisture. As such, mold growth is most common in humid environments, following water damage, or in places with constant moisture. Cellulose and other organic substances are a common food source for mold. These materials are prevalent in drywall, wood, and other building materials, which is why mold can cause structural concerns. Furthermore, mold has the ability to spread at any time. If you’re exposed to mold, then you’re at risk for allergies and other potentially severe health concerns. Get in touch with ServiceMaster Restoration by Complete for the professional mold remediation services we provide. We will contain the mold to prevent it from spreading and becoming a bigger problem. In addition, we also have a nationally recognized testing facility conduct mold tests to locate concealed mold. After a thorough assessment, we develop a mold removal plan and implement it. Not only is mold a significant problem that causes property damage, but it can also cause health problems. 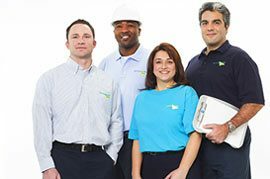 If you discover any mold in your home or business, act promptly by calling ServiceMaster Restoration by Complete for our mold remediation services in Bergen County, NJ. Available on a 24/7 basis, we can be reached at (732) 840-3570.